Consider any acute angle AOB. 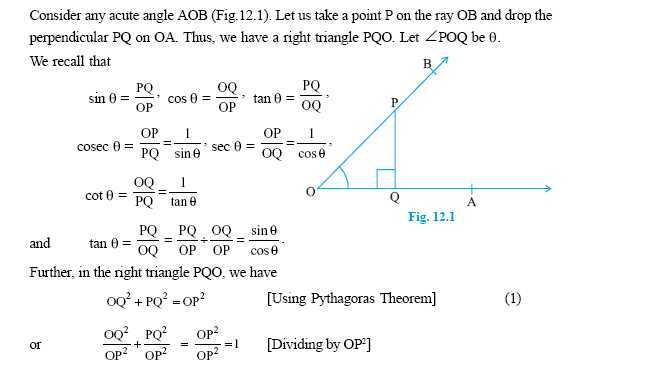 P is a point on the ray OB and PQ is perpendicular to OA. Directions: Find the mid point of the segment joining two points and draw a graph for the problems. Q 1: Prove that (1+tanx)2 + (1-tanx)2 = 2 sec2x. 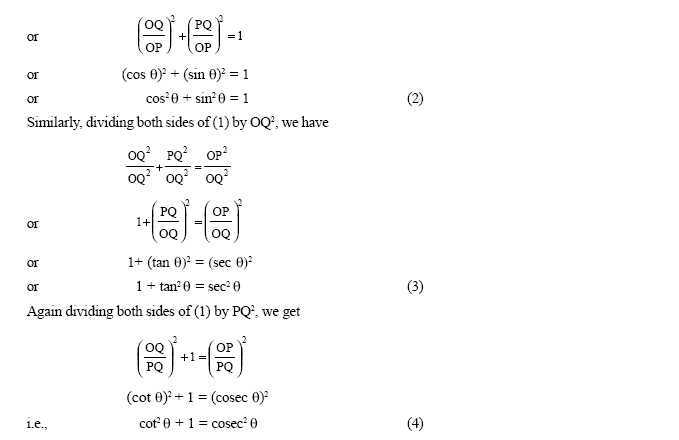 Q 2: If cos x + sin x = 21/2 cos x, prove that cos x - sin x = 21/2 sin x.
Q 3: If sin x + cosec x = 2, prove htat sin2 + cosec 2 = 2.